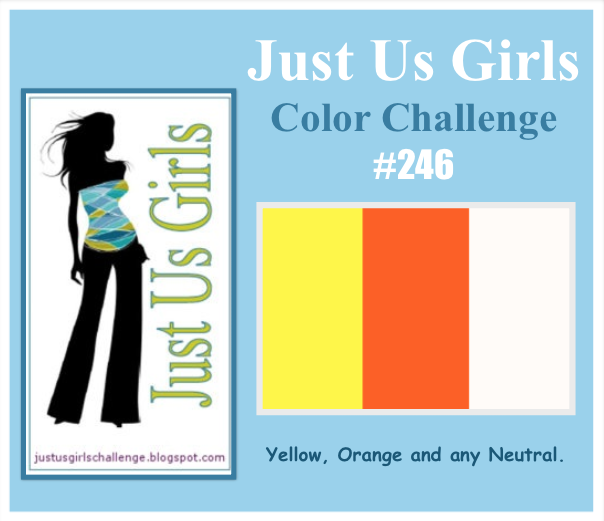 Today over at Just Us Girls Maria has chosen a great Color Combo! choices I thought why not! The card is going to be filled with student signatures so I made it pretty large. white and black…hope it’s okay that I used both! The card came together rather quickly…not sure it needs any explaining! it was nice to get them inky again! with this color combo…I promise you won’t be disappointed! While your at it PLEASE JOIN us! a chance to be a Guest Designer with JUGS! Categories: Cards | Tags: basketball, Card making, Cards, color challenge, Masculine cards, rubber stamps, stamping | Permalink. Fun card – someone is going to love this! Your co-worker must have LOVED this! Perfect guy card and the students probably got a kick out of it! Nance- any guy would love this fun card, especially filled with kids signatures!! Great job! What a great card Nancy! This is the perfect manly card. What a great card Nancy! The perfect manly card. Have a great weekend! Very cool masculine card! Love how you used the colors! What a great card Nancy. Perfect masculine card. I love the way you did the sentiment. Have a great weekend My Friend. That is a great young man or boy card. Fits both teenagers and younger and even those who are big basketball fans. I really like it. This is too fun 🙂 Love the basketballs and what a great setniment. What a fun card! I have some grandsons who are sports crazy and would love this. Great use of the challenge colors! Super fun card! Love what you did! Great job with the challenge colors! Very cool use of the challenge colors! 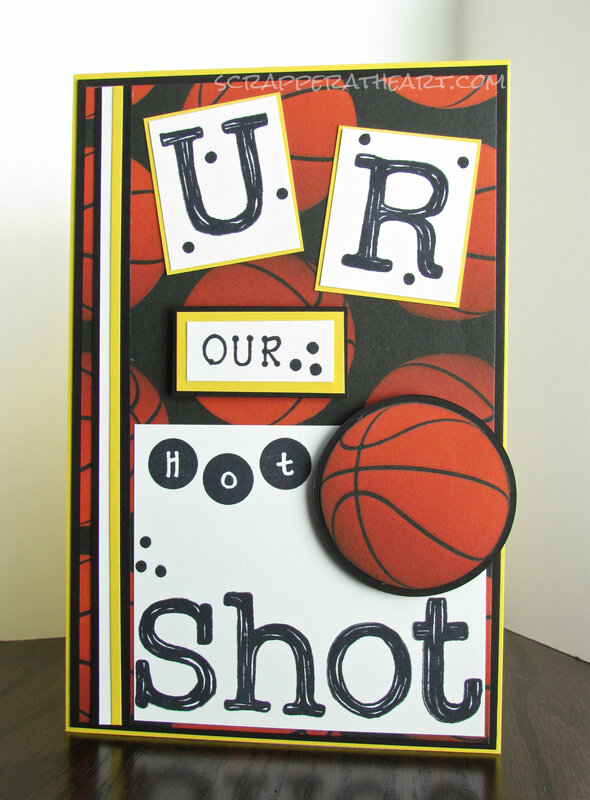 This is a perfect card for your male co-worker with all of those fun basketballs. Love that sentiment, too!